Full disclosure: we never thought much about becoming professional golfers. That’s not to say we had the necessary skill to be a dominant force on the tour, but however you want to slice it, we simply never had the head for golf. After seeing what some of these guys pull in, though, boy do we regret not giving this game a go. If you’ve ever tried to master the sport of golf, you understand why these athletes are making a pretty good living. The fact is, golf is hard. It’s all about muscle memory, mental fortitude, and focus. Some people have it, some don’t, and some simply stand above the rest. Who are these athletes? Luckily for us, Forbes did all the hard work. We’re just here to give you what you need. With that in mind — discounting the highest-paid retired athletes — here’s a look at the five highest-paid golfers in 2015. Golf aficionados knew that Jordan Spieth could play the game at the highest level, but it wasn’t until his record-tying performance at The Masters this year that the rest of the world finally caught up to his star power. When the 21-year-old from Dallas shot an 18-under 270 at Augusta National — in a coast-to-coast victory — to capture his first green jacket, you knew the money would soon follow. 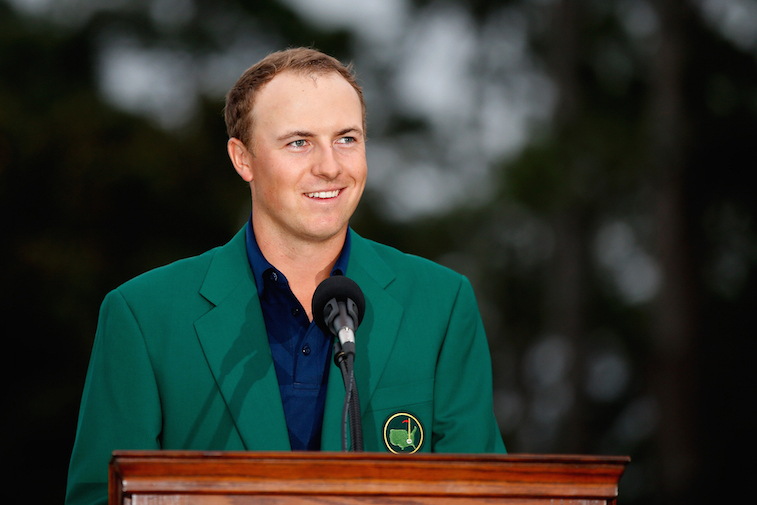 In 12 months, Spieth has pulled in $19.8 million in total earnings. He’s racked up $8.8 million from his winnings — $1.8 million from The Masters alone — and made a solid $11 million in endorsements. Aside from a deal with Under Armour that runs through 2025, Forbes reports that the No. 2 golfer in the world also has partnerships with AT&T, Titleist and Rolex. As the No. 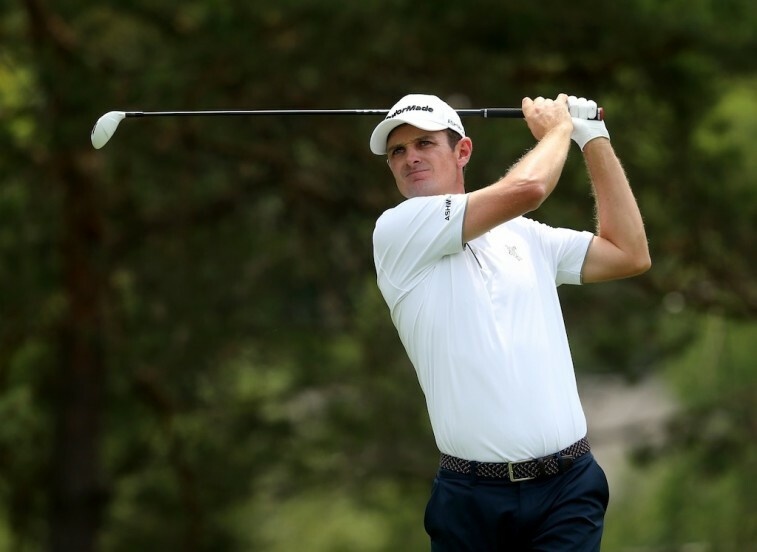 5 golfer in the world, England’s Justin Rose has parlayed his success on the course into great wealth off of it. In the past 12 months, the 2013 U.S. Open Champion has made $12 million in endorsements, courtesy of his partnerships with companies such as Adidas, Ashworth, British Airways, Hublot, Lamkin, TaylorMade and Zurich Insurance. In the last year, Rose has also brought in $8.2 million from his winnings. The 2015 PGA Tour season has certainly been kind to this talented golfer. So far in 2015, in 11 events, Rose has three top 10 finishes, a second place finish, and a victory at the Zurich Classic of New Orleans. Rose has finished inside the top 6 in the year-end golf rankings in each of the past three seasons. Given how well he’s been playing, we expect that trend to continue. The World No. 1 may only be the third highest paid golfer in 2015, but $48.3 million in total earnings is nothing to cry about. 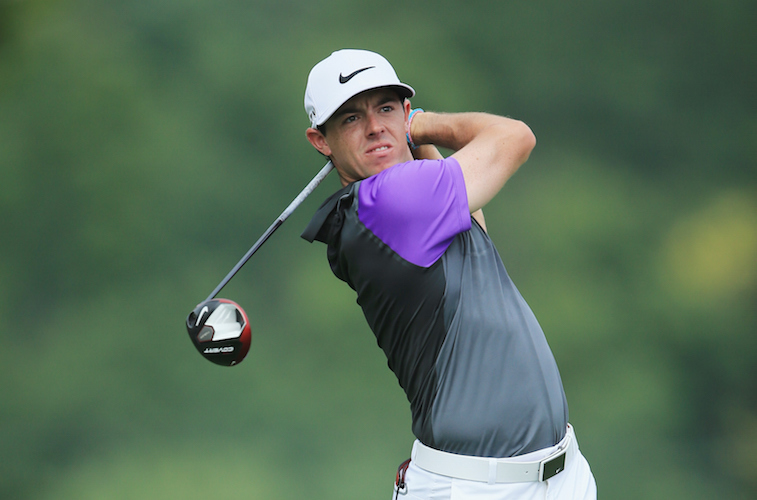 Over the last year, Rory McIlroy has won five PGA victories, two majors, and amassed $16.3 million in winnings. Of course, the money he’s pulled in from his play on the tour is nothing compared to the loot from his endorsements. McIlroy makes a pretty penny on account of his lucrative deal with Nike, but the swoosh isn’t the only brand that pays this kid to rock its gear. On top of being the new face of Electronic Arts — for its golf video game — McIlroy is in business with Bose, Omega, and Upper Deck. If there was ever a golf player worth investing your money in at the moment, it would have to be the 26-year-old from Northern Ireland. Tiger Woods’s struggles on the golf course — only making $600,000 from winnings in the past 12 months — have played a major part in him dropping to No. 2 on the list of highest-paid golfers. And yet, despite his current lack of game, nothing seems to prevent the 14-time Majors champion from raking in the big bucks. In the last year, Tiger has brought in added $50 million to his purse in endorsement money alone. 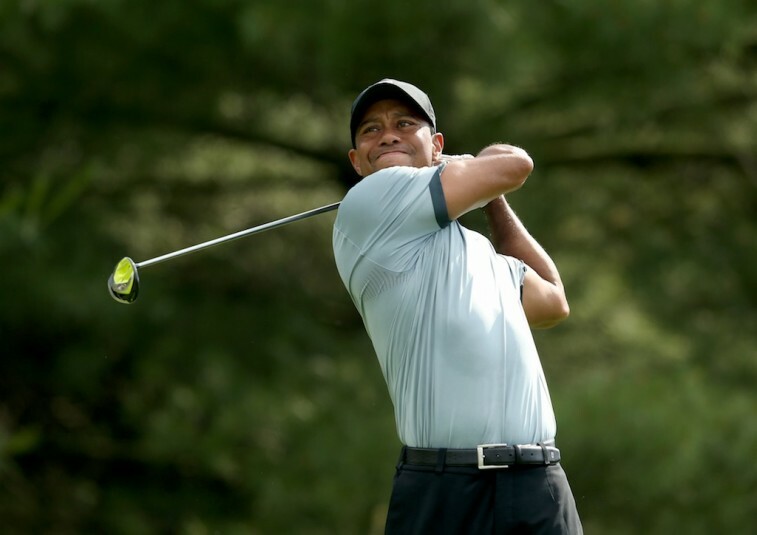 Nike still keeps Woods living large, to the tune of over $20 million a year, but the apparel giant isn’t the only brand that keeps itself in the Tiger Woods business. In 2014, Woods signed deals with companies such as MusclePharm and India’s Hero motorcycles. If you throw in the fact that Tiger is starting to make some money off his golf course-design firm, then it’s easy that while Woods may have 99 problems, money is certainly not one. Put your hands together and break out the golf for the lefty. With a whopping $50.8 million earned in the past year, Phil Mickelson has usurped Woods on the Forbes list of highest-paid golfers. 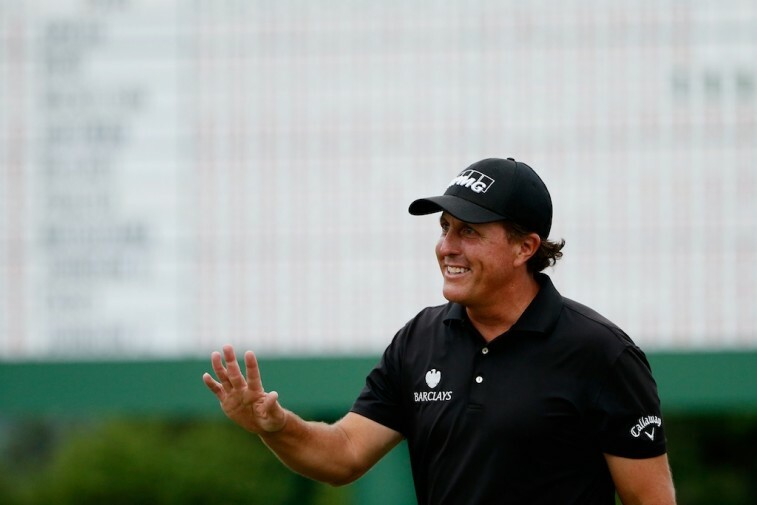 Since becoming a pro in 1992, Mickelson has accumulated $77 million in total prize money. This past year he only brought in $2.8 million from his play on the course. However, it’s the $48 million is raked in from endorsement deals, that put Mickelson over the top. According to Forbes, “Lefty” pulls in this kind of dough from his association with companies such as Callaway, Barclays, KPMG, Exxon Mobil, Rolex and Amgen. Not bad for a guy who hasn’t won a tournament since 2013. Still, when you take into account that Mickelson has 42 PGA wins and five Majors in his career, it’s no surprise that he continues to be one of the most popular guys on the tour. The $600 million he’s made during his career from prize money, appearances, and endorsements are still second in comparison to Tiger’s overall haul. However, as long as we choose to focus on earnings from the past 12 months, Phil Mickelson is second to none. 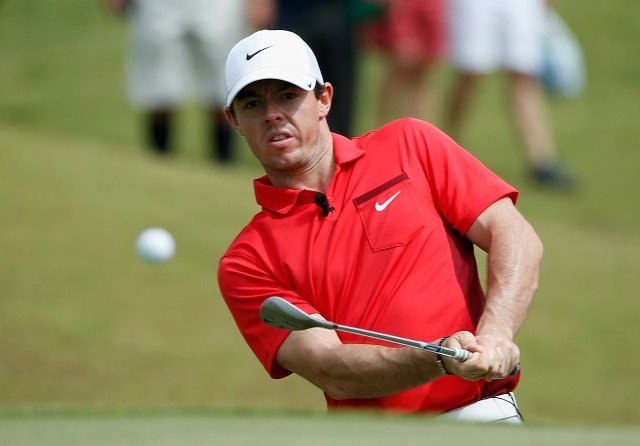 For the complete list of Forbes’ ‘Highest-Paid Golfers 2015,’ see the gallery starting here.